Lately I’ve been a train girl instead of a bus girl. But today I took the bus to work.I forgot how nice it was to sit on a slightly empty bus looking at the scenery, thinking of nothing. It’s been a terrible week. Even the weekend looks stark.I’ve been poached to go back to my old organisation. Should be happy but I have to admit, my first thought was ‘yeah can drink low down coffees again’. Pathetic lah. Sometimes after a long working day, cooking in the kitchen can be a bit of a chore. I love cooking days when I have the whole day to myself, the kitchen to myself and all the time in the world to prepare my lunch bentos. 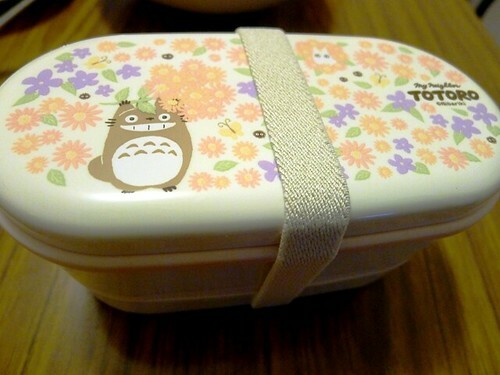 I also love cute bento boxes. When I was in Japan, they had so many pretty bento boxes of different shapes and sizes. I wanted to bring them all home. 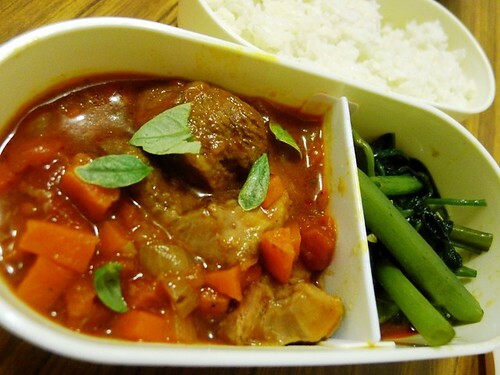 Lunch bento with ossobuco and belachan kangkung with rice. 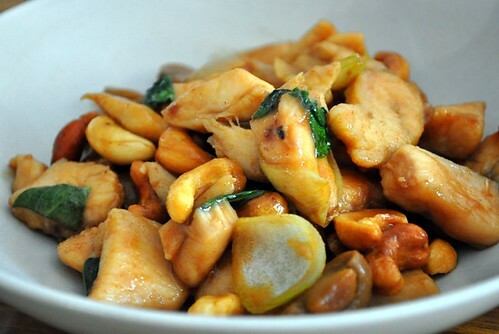 Stir fried chicken with basil, cashew nuts and button mushrooms. 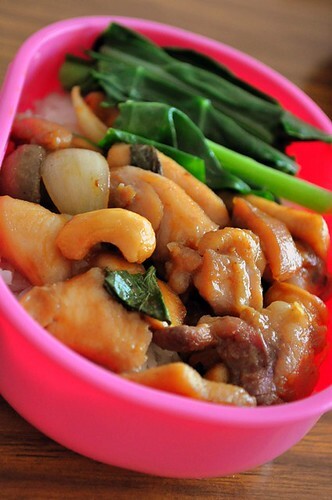 Added with kailan and steamed rice, tomorrow’s simple lunch bento. 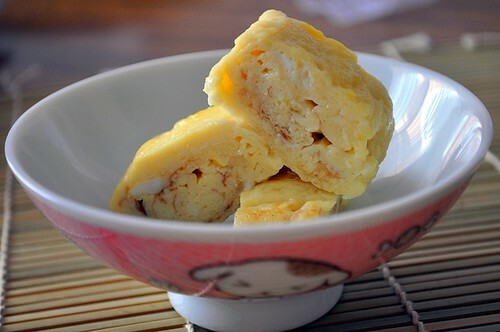 It’s been a while since I last made tamagoyaki so they look a bit wonky (^__^). 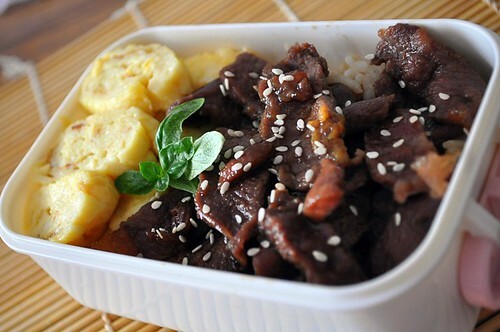 Teriyaki beef and tamagoyaki rolls with rice lunch bento. I had a really lovely weekend! Too bad it only lasted till Saturday since Sunday was black assignment Sunday again (T____T). 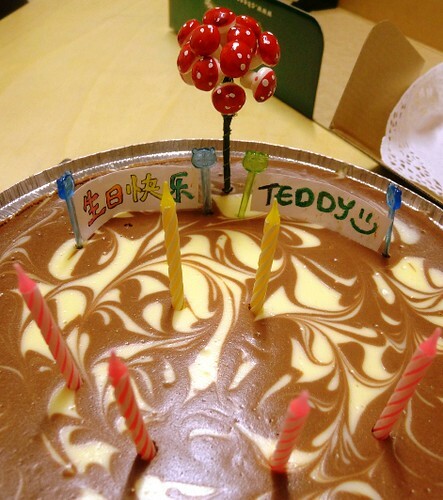 But the weekend started early on Friday night when we celebrated Xinchen’s belated birthday. Recognize the handwriting on the cake? I made the birthday signs myself, haha, very DIY right? Can you guess what Xinchen is wishing for? I hope he struck the lottery this weekend. 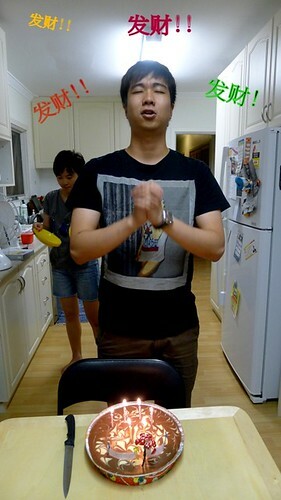 He didn’t win any money at our mahjong game though, because we don’t play with money. But it was still fun learning the rules, chatting, drinking sweet wine and playing round after round. The night wrapped up around 3am! Our latest mahjong night yet! 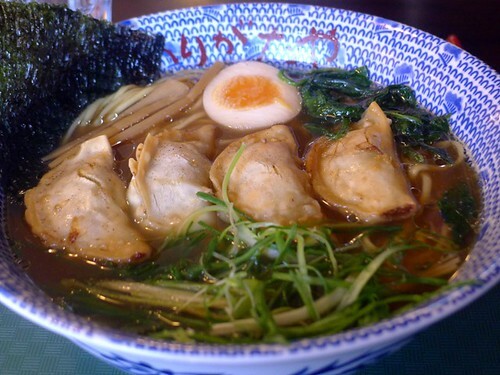 Saturday ramen at Arigataya. This ramen store just isn’t very consistent, we had some good ramen before on a Wednesday, but this time their broth wasn’t as flavourful, weekend diluted effect? My first time at a German restaurant in Perth. 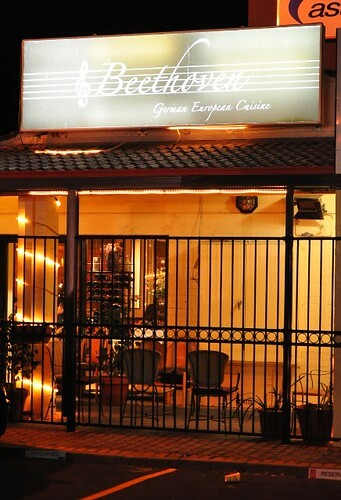 I’ve passed by Beethoven many times and remarked ‘we should try this place some day’. And so we did on Saturday. The pretty lights at the restaurant were very welcoming and felt like it was beaconing to us a good night ahead. 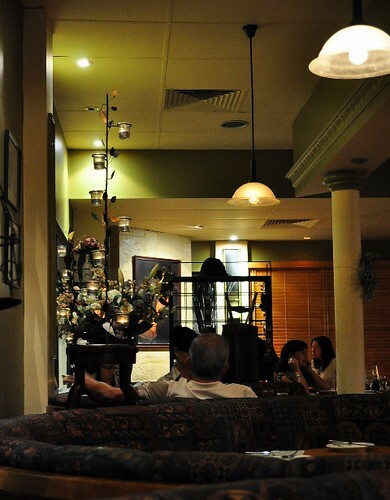 I was pleasantly surprised at the cosy and warm atmosphere inside the restaurant, the mid circle booths were comfy and the candles romantically lit. I could already imagine coming here with friends and family. 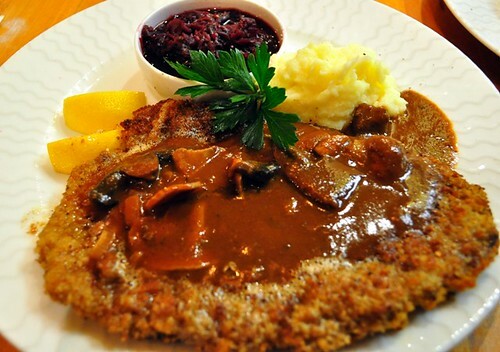 My veal wiener schnitzel with mash, braised red cabbage and mushroom sauce. With a squeeze of lemon, this schnitzel was surprisingly tasty with crispy breadcrumbs, tender veal mopped up with a yummy mushroom sauce. This gently spiced vinegary red cabbage gave the whole dish an acidic touch and lifted the oiliness of the dish. 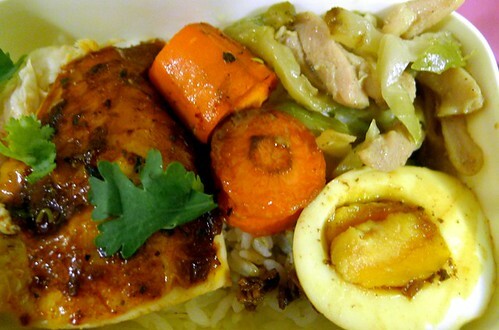 It felt like comforting, homecooked food. I’m not sure whether that’s what German food is like, but it was nice. 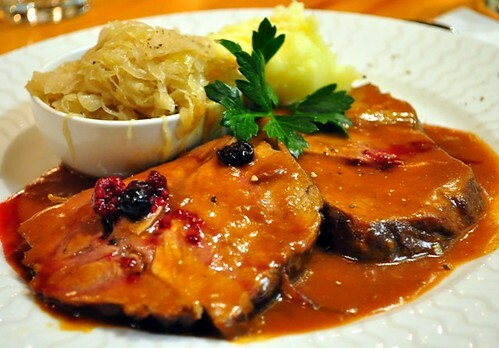 This Schweinebraten was pot roasted pork leg served in a pepper corn gravy with sauerkraut and mash. The slices of pork leg were tender and flavourful, not too rich and delicious. 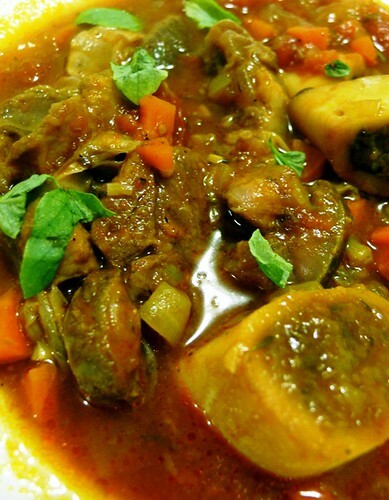 Another meat dish with a home cooked feel to it. My favourite part of most meals, dessert! 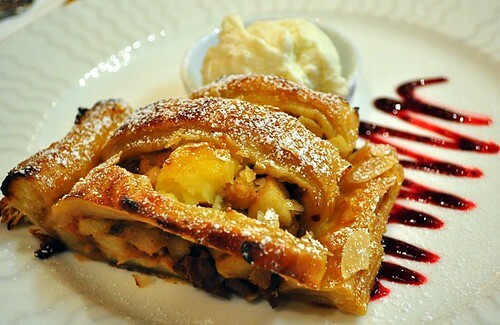 I don’t usually like apple strudel but this one was yummy and easy to polish off with vanilla icecream. I really liked Beethoven, it was such a pleasant surprise and I would recommend the place to friends who like hearty, homemade, slowcooked food (Wendy and J, it’s buy one main get one main free on the Entertainment card!). I overhead a girl who had the whole lamb rack exclaiming that she was eating so fast because it was delicious, I’m going to try that next! It wasn’t all eating out during the weekend. It wasn’t bulk cooking because I didn’t have time, but it was my first attempt at cooking Ossobuco, which is braised veal shanks with vegetables, white wine and chicken stock. Ligament King liked it. I’ll cook more bentos today and blog about it next time. Thursdays used to mean ‘suburb shopping’ nights. Walking around Carousel where you’ll inevitably end up bumping into friends. Everyone in Perth flocks to shopping centers on Thursday nights just to revel in the joy of shopping after 5pm. Ya, we’re pretty sad here in Perth. But at least we’re getting some sort of extended trading hours now. Maybe in 20 years the shops will open on Sundays. Nowadays Thursdays don’t signal the shopping fever in me anymore. They just mean early hours in the office and slogging away till.. till it’s time to go home. Even worse than not being able to go shopping after work, I find myself *SIGH* hitting the books and studying (or pretending to). I swear I wasn’t such a studious person back in university. Actually my parents would swear to that. In fact, I was a very very lazy student. I’m still lazy now, but maybe as you grow older you get more guilty and study conscious. The idea of failure at a ripe old age feels much more scary. So there I am, indulging in a bowl of beef noodles (ok lah, that was R’s bowl, I had my favourite indo mee) and trying not to fall asleep while reading my heavy textbook (why do they make them so thick ah?). I can read novel after novel day by day, my Agatha Christie murder mystery collection is quite staggering (just at the thought that I’ve spent so much money on those books), but god, textbooks are the most boring things on earth. How do they manage to squeeze so many meaningless and boring terms in one sentence?! Ok, I’ll stop whining now. At least it’s Friday tomorrow and I know roast duck is on the menu. Whheeee. Today I met up with the boys for lunch. It’s been a long while since we’ve had an impromptu gathering like this. They all felt a little older. A little more stressed out. Ok, make that a lot more stressed out. Most All of them are in job hunting mode and job hunting is tough. But it was still nice just sitting in the typical Chinese restaurant and chomping on chicken rice while trading meaningless conversation. I was waiting at the Curtin bus station before heading to my meeting location. All the uni students that trailed out of the bus in their sneakers, jeans, tees and messy hair. They all looked so young that I felt like a fossil. Then and there, I almost wished I could go back to my uni days, but then again, I don’t remember my uni days being all that much fun anyway. Sigh, I wish I could feel settled and secure with where life is heading, but it’s been so many years, and I’m still insecure and have no idea what I’m doing. I think I’ll still not know when I’m 50. 🙂 So moral of the story is probably just stop thinking so much and just live day by day. Haha, really lame right? Long gone are the days when I cooked different meals everyday. I still remember that I used to decide on the menu depending on what was looking good in the grocer’s on my way home from work. Nowadays, with the long working days and part time student life, I have *gulp*succumbed to bulk cooking. 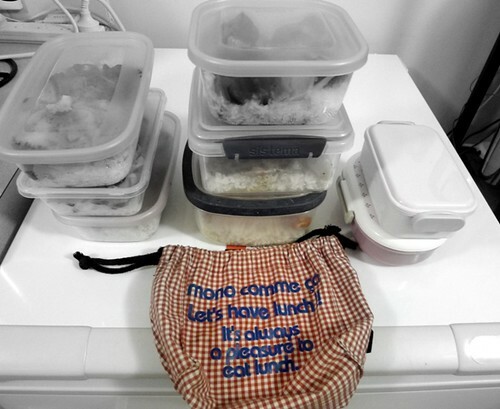 As in preparing the week’s lunch bentos and dinners in one day. Sundays have now become my study cramming plus bulk cooking days. Don’t get me wrong, I still enjoy the cooking process. But I do miss the fun of designing and planning each day’s dish in advance, of buying my ingredients daily and scouting new recipes and lunch bento ideas. I always pack my lunch bento in my little red checked lunch bag that my mum bought for me, it’s just so cute and happy and I do believe in the slogan that that it’s a pleasure to eat lunch. So what did I cook today? 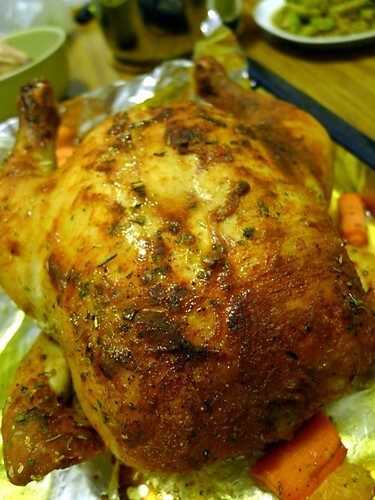 A whole roast chicken! It was juicy and tender, a large bird enough to go around for a few dinners. 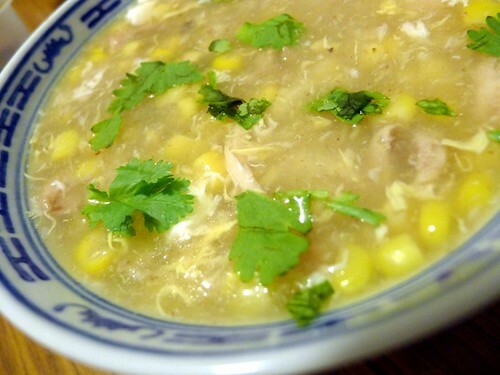 Also a large pot of sweet corn chicken soup. 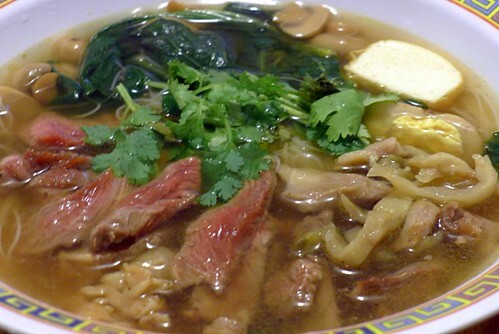 Despite this being one of my favourite soups, I’ve never actually tried cooking this from scratch and have always had it out of a can or at restaurants. It’s actually super easy to make and obviously much nicer than the Campbell version. (^___^). 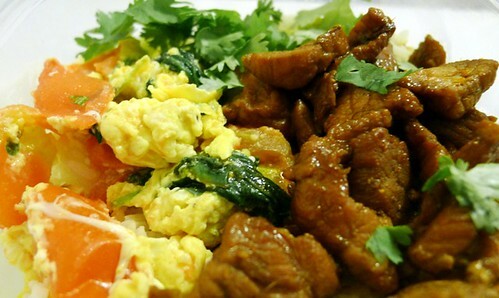 This is my ‘ quick and easy’ category of lunch bentos, stir fried sweet soy pork fillets with tomato and spinach omelet. This one is not so quick and easy but very sinful and tasty for an otherwise terrible work day (haha already predicting my work week in advance). 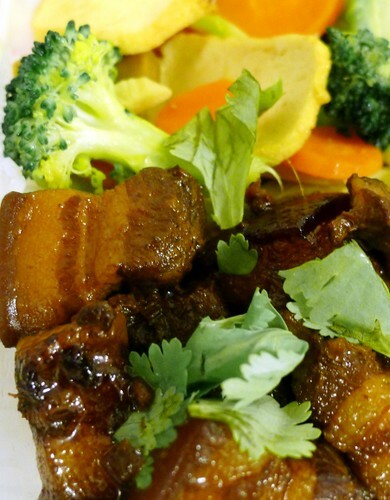 Thai style slow braised pork belly with mixed vegetables and tofu slices with rice. Leftover roast chicken slices with roasted carrots, braised soy half boiled egg and szechuan pickled vegetables with rice. East meets West style lunch bento. I love souvenirs from interstate! 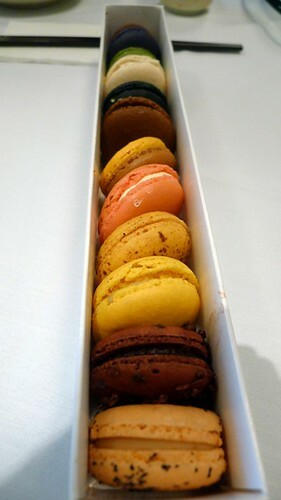 Adriano Zumbo’s macarons. I’m not a big fan of macarons and have never been into the macaron craze that’s hitting Perth. 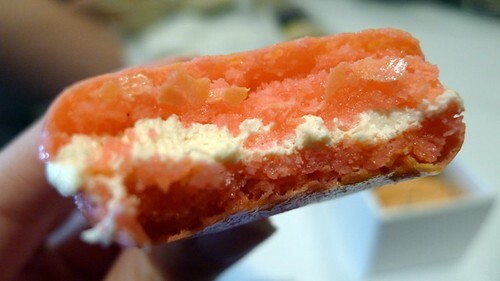 Rose flavoured macaron. These macarons were quite nice and interesting with different flavours, I remember eating a eucalyptus one thinking it was green tea because it was green in colour! I still think the ones that my foodie sis Jan brought over from Paris were much nicer though, I can’t remember where they were from though. Was it Pierre Herme? or Laduree? Jan? Sigh… and the weekend is over again. I didn’t know what to do with our big bag of plums and nectarines that were getting soft so I googled for a plum cake recipe and came up with this Plum and Vanilla tea cake. The cake turned out really ugly, sunk in the middle with oozing plum and nectarine juice . I couldn’t take a good photo. I thought ‘oh oh… disaster’, then I had a sample bite, and another. 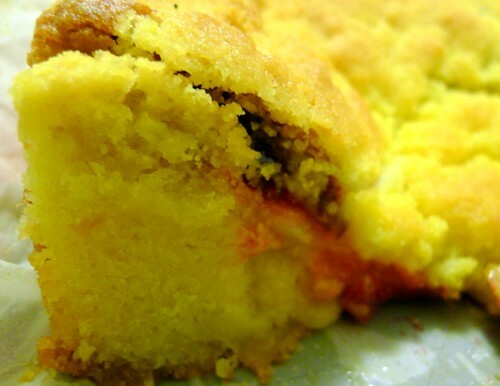 The cake was moist and creamy, the topping of the cake was like a polo bao, sweet, crispy and crumbly. Ugly cakes can be yummy too! I think I might like baking after all. 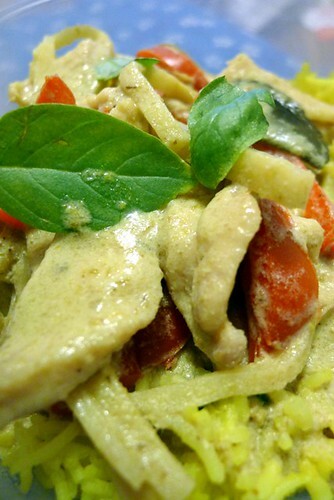 Lunch bento tomorrow is Thai green curry chicken with turmeric rice! Don’t know what to do with your leftover coconut milk? Add it to your rice cooker (^___^)Y.
Ok, I’m going to get fat and have another slice of cake. Hehe.